Usually made from a soft wool bouclé fabric, and often lined with luxurious silk charmeuse, the French jacket is a timeless and beautiful wardrobe classic. The classic French jacket is a wardrobe must-have. Usually made from a soft wool bouclé fabric and lined with luxurious silk charmeuse, many special hand-sewing techniques are used. The fabric and lining are quilted together to create a cardigan-like jacket that will fit you like a glove. This course suits intermediate sewers. There's a maximum of ten students per class, so you'll receive individual attention and progress at your own pace. 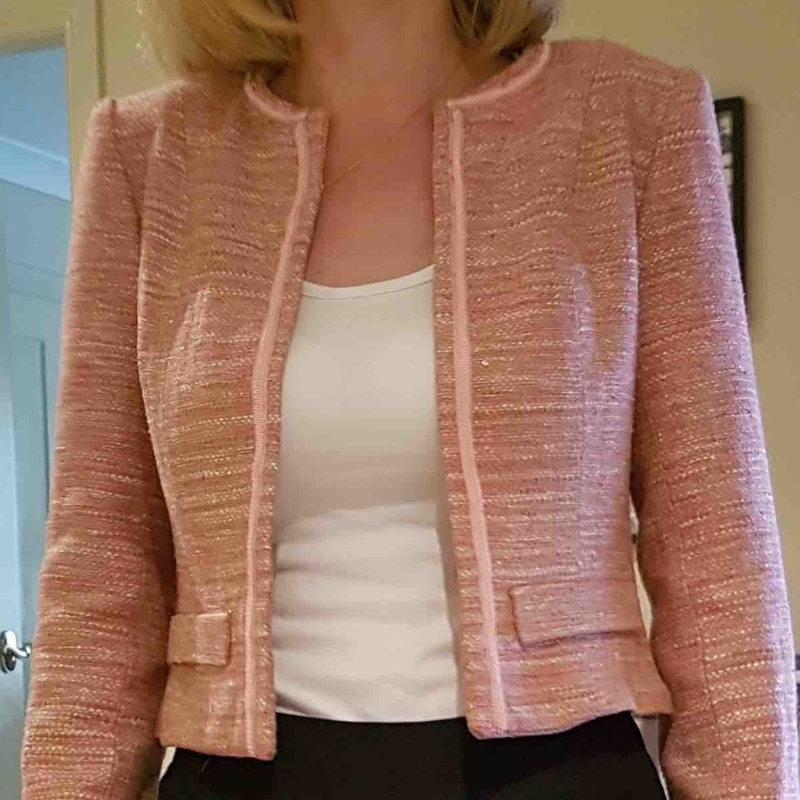 Sew a sophisticated and stunning boucle cardigan jacket using either fused interlining or quilted couture sewing techniques. Students bring a jacket calico test garment (“toile”) to class made from a commercial pattern. The toile is fitted and the pattern adapted for use with the desired interlinings, linings and trims. Students may change the cardigan style to include a convertible collar or mandarin collar and will receive instruction in class to enable the pattern to be changed as required. On enrolment students receive information concerning suitable patterns, and where to source suitable materials. Students may return for a second term if they do not finish their garment in the first term or would like to complete a matching skirt for the jacket. Fine wool and cotton fabrics are available for order from the college and these options will be made available to students during the first session.